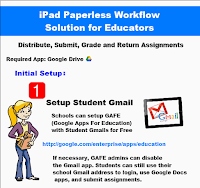 Here is a wonderful step by step guide on how teachers can use Google Drive iPad app to create, distribute, submit, grade and return assignments. The guide starts with setting up a Gmail for students and moves on to how students can create and share a folder with their teacher.It also provides examples on how teachers can create a class folder with a variety of subfolders. 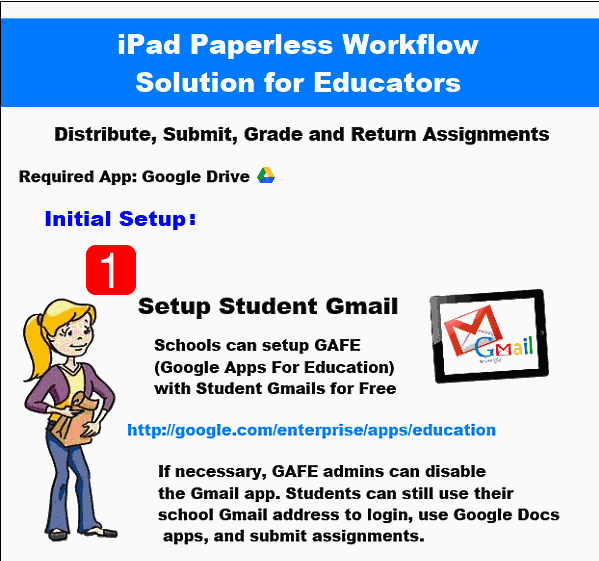 the next part covers how teachers can create and submit assignments using apps like iWork which allows students to open Google Drive and upload their assignments. Next is a section on how teachers can collect, grade and return students assignments. I invite you to have a look and share with us what you think of it. This great graphic is created by oakdome. Check out the full visual from this page.